Plumbing difficulties are intimdating, and until we experience one for the first time, we never realize how much of our everyday lives depends on the simple movement of water between points A and B. 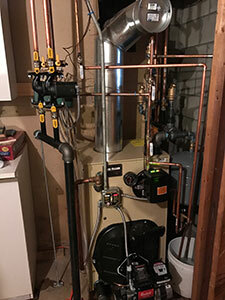 Old Colony Heating, Air Conditioning & Plumbing is there to fix those problems, making sure your day-to-day routines, whether at work or home, continue unabated. Need an installation or repair? Call us. We'll have one of our team members out to appraise the situation and get you up and running, leaving you with the confidence of knowing the job was done properly.